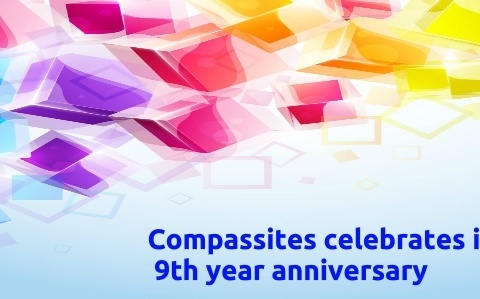 Bangalore based IT services firm, Compassites has been in operation for seven years. In these years, they have had several successes, which has also helped the company go global. After setting up offices in Australia and Middle East, Compassites is now gearing up to open offices in Singapore, joining the list of other Indian startups looking tap into South East Asia markets through Singapore. So far our articles on ‘going global’ have focussed on legal and procedural aspects of setting up operations in another country, here Mahesh Baxi, the CEO of Compassites talks to us about the entrepreneur’s dilemma and the mindset required for global expansion. 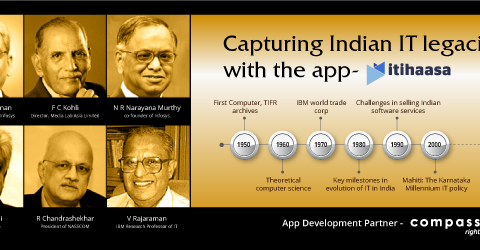 The technology services environment in Bangalore is very crowded and competitive. Mahesh identifies two main reasons which gives them an edge. “We prefer to work with open source and open standard technologies, as they are more amenable to being configured to specific needs and are capable of absorbing new elements to create additional capabilities”, he says. Their other approach, Mahesh says, is to avoid the ‘technology purist’ approach. “Many software projects become paralyzed as a result of excessive analysis and documentation of needs and options and over-emphasis on perfection. We adopt a more pragmatic approach to running projects, preferring solutions that are ‘good enough’ than those which are over-designed and unnecessarily expensive”, he clarifies. While they seem to have their strategy etched clearly for their homebase, India, the team has also identified huge potential opportunities globally. Speaking of his own shift from working for a global company to a growing startup, he says, “the challenges in a startup are huge, the learning curve steep, and even though a startup is more chaotic, the immense satisfaction that you get while driving the change is wonderful”. Mahesh lists ‘market research’ as one of the most important and preliminary aspect of expansion. The other checkpoints he mentions are; competitive landscaping – understanding competitors in the new market and figuring out how they have they fared, networking, and becoming aware of local laws and how business is run in that particular geography. Speaking of Singapore, he emphasis that it is truly the ‘Entrepreneurial Capital of the World’. “Singapore is a vibrant market and we are looking at adding tech muscle to the ideas that entrepreneurs/organizations have in the market. The tax benefits are substantial and the government is proactive. Proximity to markets in Asia like Hong Kong, Philippines, Malaysia and Indonesia is another reason why we like Singapore. Also lots of companies are moving their APAC headquarters to Singapore. So we foresee a good client base in Singapore”, he says emphatically. – The internal systems should be flexible enough to scale. The operations and support team should be able to handle the growth phase. – Maintaining the culture and values intact is a challenge when you scale. New employee induction plays a very critical role here. – Scaling at the right time is essential. Making that decision of when exactly to scale is critical and needs to be thought through. As a global startup, Mahesh says they have identified few things they plan to focus on. Compassites currently has customers in the US, Australia, Latin America, Middle-East, Singapore and India and are striving towards a balanced revenue stream from developed and developing economies. “Both these economies have different business problems, levels of innovation and creativity and we enjoy solving these business problems”, he says. Compassites is also looking at establishing a physical presence in terms of offices and team across the globe, in order to be able to work closely with the client-base in various parts of the world. His vision for Compassites, keep technology close to the heart and focus on solving business problems through innovation. 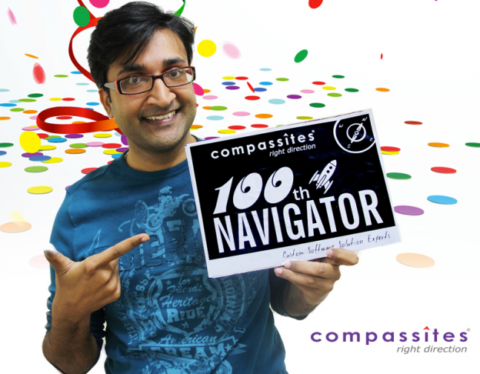 Compassites is aided in its global expansion plans by funding from private investors and profits generated from the business.